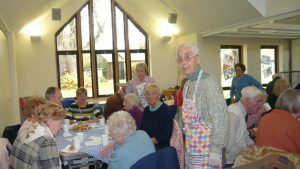 Welwyn’s Community Cafe Celebrates Eight Successful Years! The following Report was prepared by Sandra Kyriakides, WPAG Project Manager and former Welwyn Hatfield Borough Councillor who took all the photos. 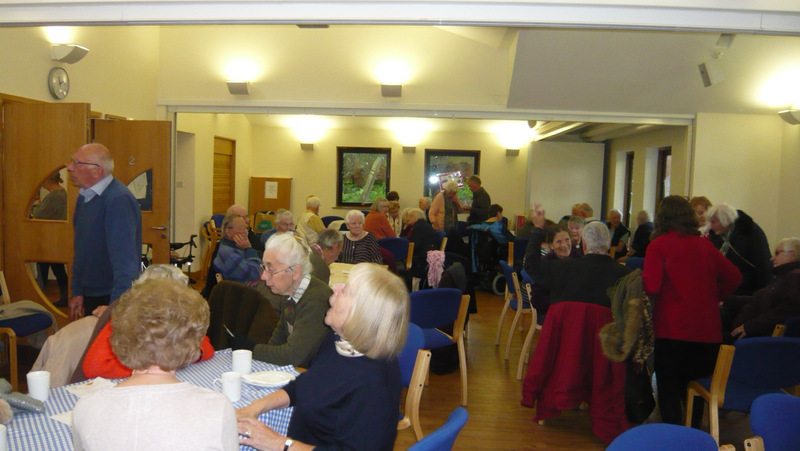 A very popular event in the Welwyn Social Calendar is the weekly “Get Together” at Welwyn’s Community Café, held in St Mary’s Church House every Tuesday morning from 10:00am to 12:00 noon. 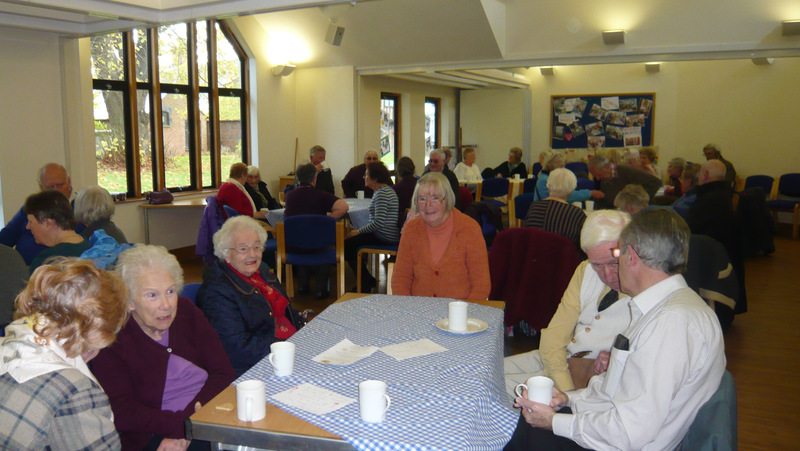 On 3rd November 2017, the Community Café celebrated its 8th year of successful operation and, to mark this occasion, visitors this week were treated to complimentary delicious home-made sausage rolls and yummy cakes from Katie’s along with their teas and coffees. The project was the joint venture of the Welwyn Parish Plan Group and St Mary’s Parochial Church Council. 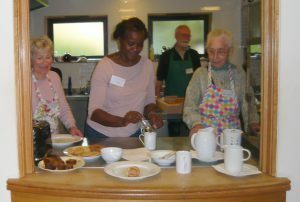 It was launched in 2009 and has grown from strength to strength in popularity and attendance and has created a vibrant facility for residents from Welwyn and surrounding areas to socialise in an informal and friendly atmosphere. Delicious freshly brewed coffee, biscuits and toasted teacakes are on offer at a very reasonable price. All are welcome in an ambiance that buzzes with lively conversation and provides the opportunity to meet up with existing friends and to make new ones. 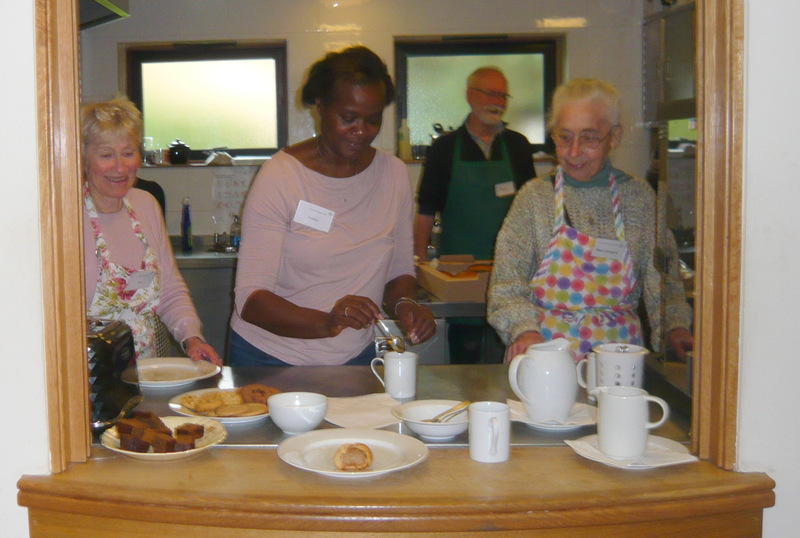 Local volunteers staff the kitchen under the joint guidance of volunteer supervisors Jean Perriman and Lesley Watson. Since taking over the running of the Community Café from Barbara Spencer in February 2017, Jean and Lesley have been doing a wonderful job with impressive efficiency, combined with their boundless enthusiasm and friendliness. 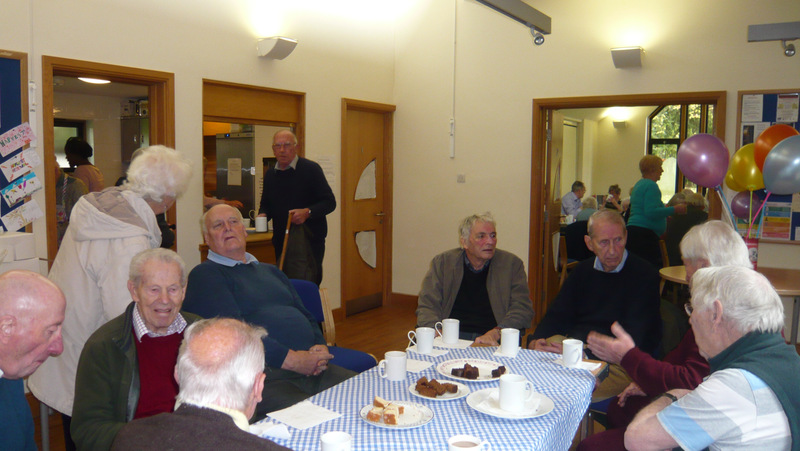 This entry was posted in Local Organisations, News by John Roper. Bookmark the permalink.